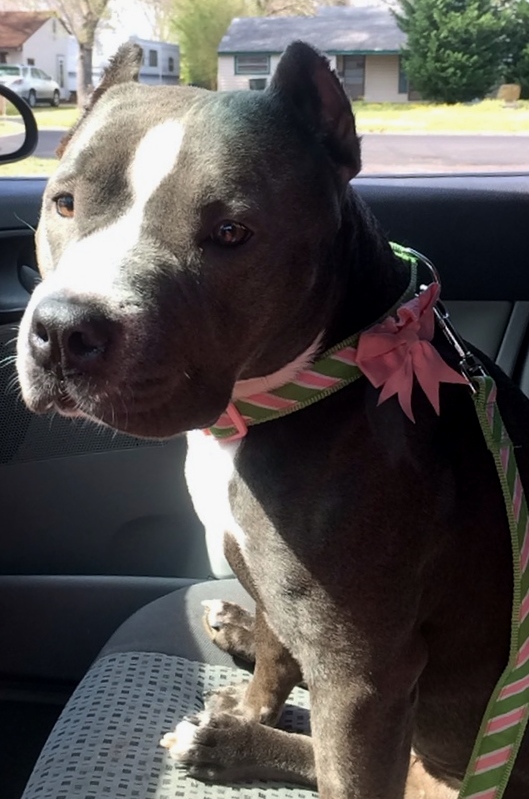 Nina is a sweet and genuine family member but sadly we have to find her a new home. 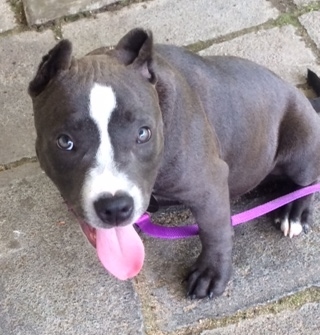 She is a full breed blue pitbull with a bully type bloodline, she has cropped ears and is 2 1/2 years old. She is an inside dog, she is fixed and is house trained. She does not have a high energy level but of course enjoys our daily walks. She is not a barker and doesn’t even pay the mail carrier any mind! 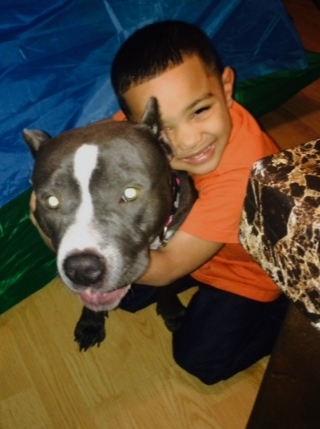 Nina gets along with kids, other dogs, cats and strangers. She prefers to have to someone that is home a lot especially during the day because she does suffer from a slight separation anxiety. She is not protective of her food, toys, bones etc…I have had Nina since she was 3 months old, she is UTD on shots and her rabies vaccine is due again in June. Please email or call me at jennifermpollock@me.com (757)813-9681.